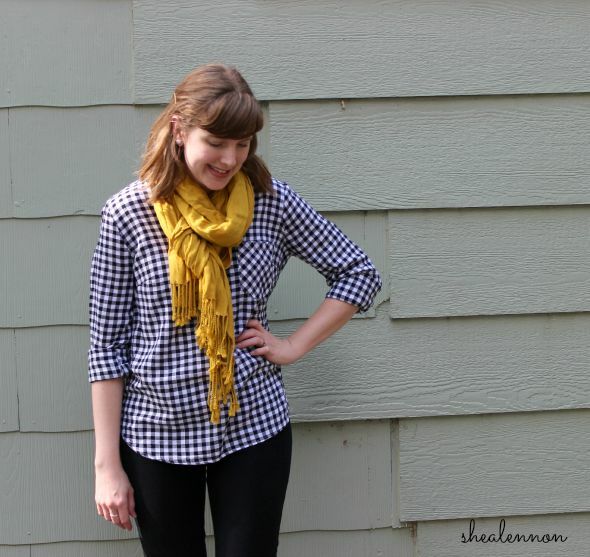 If fall had an official pattern, it would probably be plaid. 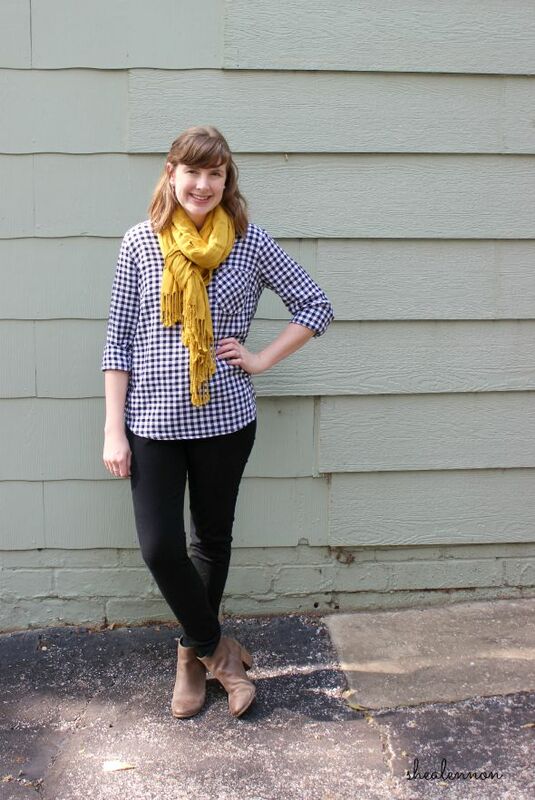 When I'm putting together my fall wardrobe, a plaid shirt is always one of the first things on my must-have list. I've had the same couple of options on repeat for the last few years, but I stumbled upon this black and white check shirt at Target last weekend and decided it needed to come home with me. 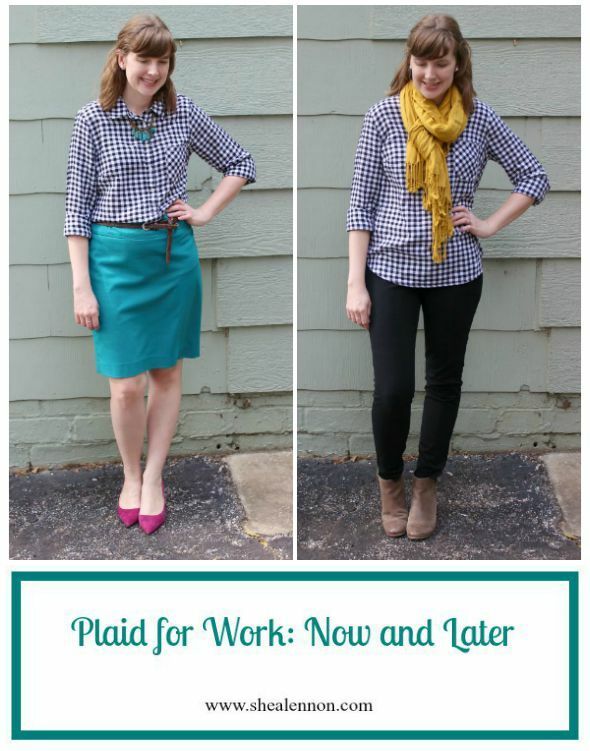 I'm wearing it for two work looks today; one is perfect for the weather now, while it's still warm enough for bare legs, and the second look is better for cooler days of late fall. While I am looking forward to fall, I want to embrace this bare-legged weather as long as I can. I know that once I pull out the tights it will feel like an eternity before I put them away again. 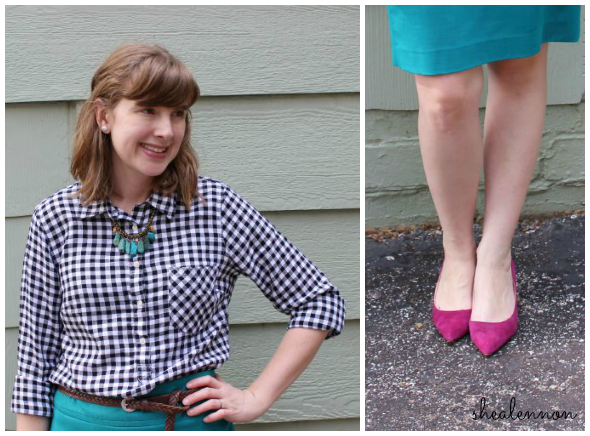 With my favorite turquoise pencil skirt and fuchsia pumps, this black and white plaid shirt walks that summer-to-fall line. It's inevitable that there will come a day when these white legs will no longer see the light of day, and that's when I'll start pulling out the long pants. 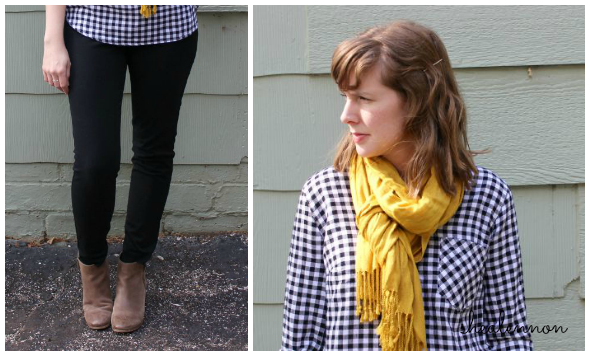 Combined with this plaid shirt, flats, and a scarf, my go-to black pair make an easy fall work outfit. Swap them out for jeans and your weekend's all set too. 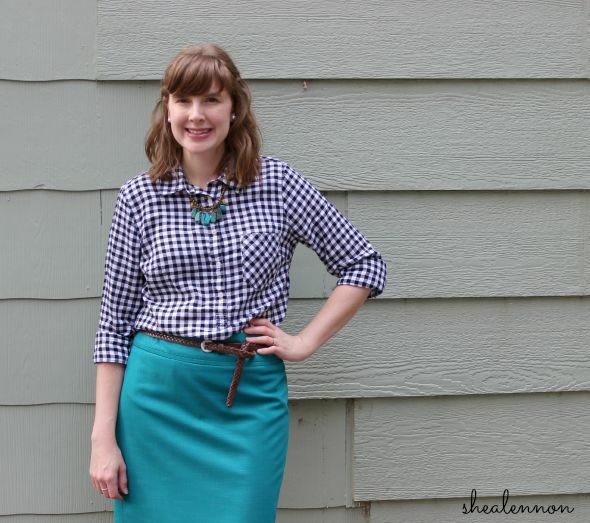 What clothing items say "fall" to you? Linking with Mix it Mondays, Let it Shine, Mingle Monday, Hello Monday, "jewel tones" at The Creative Closet, On Trend Tuesdays, Bloggers Who Have Inspired Me, and A Lovely Little a la Mode. 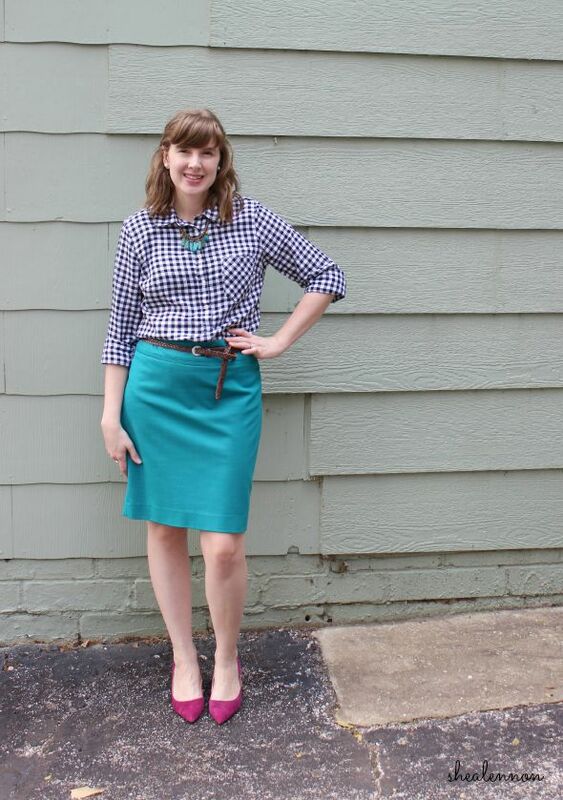 5 years ago: wearing a plaid shirt that I still love. 3 years ago: brightening up a black and white skirt with a yellow sweater.